Mr. Clifton Fleming, Jr., 73, of 7008 NC Hwy. 42 E., Macclesfield, NC, passed at Wilson Medical Center on November 4, 2018. Funeral Services are scheduled for Tuesday, November 13, 2018, 11:00 AM at Stevens Funeral Home, 1820 Martin Luther King, Jr. Pkwy, Wilson, NC. Burial will follow in Rest Haven Cemetery, Lane Street Ext. Wilson, NC. A public visitation is scheduled for Monday, November 12, 2018, 3:00 - 7:00 pm at Stevens Funeral Home. 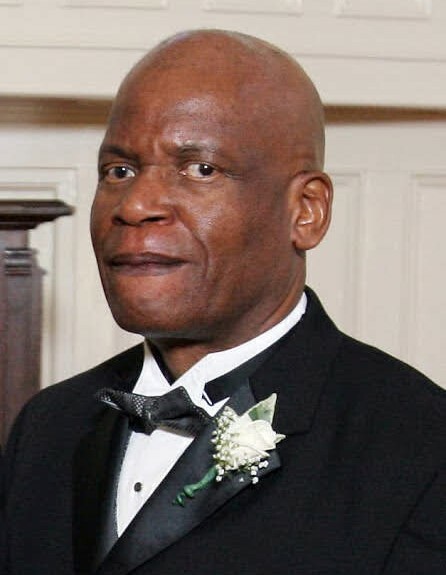 Clifton Fleming, Jr., 73-years-old, transitioned from this life on Sunday, November 4, 2018, at the Wilson Medical Center in Wilson, North Carolina. His faith in God, as well as his adherence to the Eight Laws of Health, sustained him through his battle with sarcoidosis of the lungs, beginning in 1967. Through his life, Clifton was regarded as a devoutly religious man, who was a friend and helper to those in need. Though his birth certificate says something different, Clifton was born at home near the edge of Wilson, North Carolina on January 23, 1945, to Clifton Sr. and Lillie Mae Fleming. He was born the sixth child of 10 children, four handsome boys, and six beautiful girls. Growing up the son of a sharecropper, Clifton did not spend much time in school after 8th grade. He often spoke of how he had to work in the fields with his brothers, though he excelled in math and history in school. His academic strengths led him to graduate from Speight High School in 1963, and then moved to New York to be with his eldest sister, Ora, and brother, Bud. After a time, he roomed with his first cousin Wesley Woodard for six months, and then he lived on his own in a one-room apartment on Brooklyn Avenue before being drafted into the Army in 1966. Before he was drafted into the army, he worked at Chock Full o'Nuts and he loved to say, “I worked for Jackie Robinson,” who was vice president of the chain at that time. He also worked for Pacific News Company, distributing magazines until he went into the military for his tour in Vietnam (1966-1968). After his tour in Vietnam, he moved to New Haven, Connecticut to be with his younger brother, Sam. There he attended a community college for a time while working for the State of Connecticut, first in maintenance and then as a surveyor until 1972. From there, he was employed as a meter reader for United Illuminated, and then as a lineman. In 1974, he was electrocuted in his left eye and was transferred within the company to Customer Contact, where he stayed until he left New Haven in 1985. During his 17-year stay in New Haven, Connecticut, Clifton’s friend, Perry Brown, introduced him to his sister, Louise Brown, who was to be his wife for the next 47 years. When they met, she was attending a bible study series, which was part of an outreach of the Mt. Zion Seventh Day Adventist Church in Hamden, Connecticut. After a time, his curiosity grew and he began sitting in the back of the church to listen. His interest in the studies intensified and very soon the couple was studying the Word of God, along with the Spirit of Prophecy, together. They joined the Mt. Zion Seventh Day Adventist Church together in 1969, where they were married that same year on May 4th. Within two years of joining the Seventh-Day Adventist church, Clifton began to teach at the church and by 1974 he was preaching full sermons. Clifton moved back to his hometown in Wilson, NC and sold Electrolux vacuum cleaners for one year in 1985. From there, he worked for the State of North Carolina, first as a surveyor for one year, then in Landscaping until 1988; then he worked for the Bridge Department until 2004. He was a mentoring supervisor before he left his job on medical disability. Clifton became the biological father of five children. During his life he also took care of three foster children; and he also looked after children bereaved of their mother, most notably the Moore children. During his life, his name was passed to many who needed help and he helped them. His home was open to the old as well as the young and thereby he gained children and family of affection. Upon becoming a Seventh Day Adventist, Clifton became a vegetarian and advocated the Eight Laws of Health (pure air, sunlight, abstemiousness, rest, exercise, proper diet, the use of water, and trust in Divine power). After studying on their own and implementing what they learned, Clifton and Louise were trained in the medical missionary field by Al Wolfsen in the mid-1990s; and only God knows just how many people they took in and helped to recover health. Clifton taught about the soon coming of Christ through the reading of the Bible and the Spirit of Prophecy. In the early 1990s, the Flemings also began a 30-minute radio program on Saturday mornings at 9:00 a.m. (currently on WLLY Wilson, NC) regarding present-day truth. Each radio broadcast was opened with Psalm 77:13 KJV, pointing to Christ’s work in the heavenly sanctuary above. During the last years of his life, he began watching Bible Class with Pastor Andrew Henriques of the Saved to Serve Ministry (http://prophesyagain.org/) and he rejoiced to hear the enlightening present-truth revival messages of the Gospel of Health with Pastor J. R. Cofer (https://www.gospelofhealth.org/). These ministries vividly relate the prophetic current events that are now taking place in our world. Before his death, Clifton happily accepted an invitation to begin a Bible Study on Thursdays at Elm City Assisted Living. In 1997, Clifton was thrilled to welcome the first of his eleven grandchildren, Chesnea, into the family, and to be forever renamed “Poppie.” He loved his grandchildren and was overjoyed to include his two eldest grandsons, Kierre and Joari, in his Sabbath morning radio ministry. After the death of Louise in May 2016, he became more determined to do medical missionary work in spite of his illness. He married Sheila Charles on July 7, 2017, and took her father through an extensive cleanse from May-June 2018. Before his death, he offered cleanses to all he knew were ill. Preceding Mr. Fleming in death were his first wife of forty-seven years, Louise Brown-Fleming; one granddaughter, Avia Janae Atkinson; his parents, Clifton Fleming, Sr. and Lillie Mae Best Fleming; three sisters, Ora Boykin, Rosa Tolliver, and Stella Ann Barnes; and one brother, Leonard “Bud” Fleming. Clifton leaves fond and precious memories to: his loving wife, Sheila Charles Fleming of the home; three sons, Asa M. Fleming (Tangie) of Raleigh, NC, Javin A. Fleming of the home, and Joshua O. Fleming (Maria) of Wilson, NC; two daughters, Tamika T. Atkinson (Freddie) of Wilson, NC and Samara D. Fleming of the home; three step-children, Keisha Sessler (Robert) of Elyria, OH, and Tanisha Tyler (Sam) and Nahtesha Charles of South Korea; ten grandchildren, Kierre Fleming, Joari Fleming, Keylan Daniels, Meir Fleming, Chesnea Fleming, Ariela Atkinson, and Naila Atkinson of Wilson, NC, and Asa “Deuce” Fleming, II, Xavier Fleming, and Alexis Fleming of Raleigh, NC; three sisters, Mildred Chestnut of Queens, NY, and Betty Jean Fleming and Helene Roberson of Wilson, NC; two brothers, Samuel Fleming of Wilson, NC and Jimmie Fleming of Wilson, NC; his mother-in-law, Victorine Williams of Brooklyn, NY; his father-in-law, Rudolph Charles of Mexico City, Mexico; ten sisters-in-law, Lillie Fleming, Mariela Williams, Gina Reyes, Rosa E. Charles, and Carla William, all of Brooklyn, NY, and Mary Ann Brown, Mary Brown, Elnora Marcano (Hayden), and Joyce Brown all of Yemassee, SC, and Carolyn Benjamin (John) of Trinidad; five brothers-in-law, James Tolliver of Wilson, NC, John Henry Brown (Annie Ruth), Sammie Brown, Phillip Brown, and Jimmie Brown (Linda), all of Yemassee, SC; the very special Phillip Moore, Astari Moore, the Jurado children and their families; and a host of nieces, nephews, cousins, other relatives and friends.